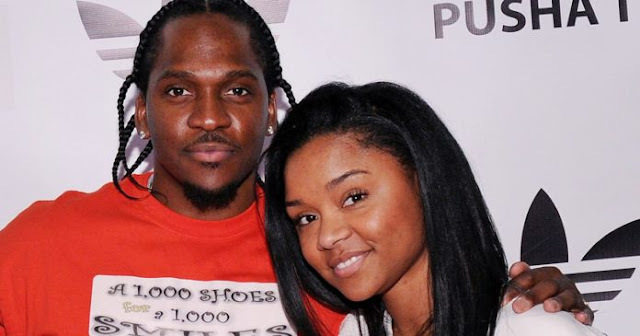 The 41-year-old rapper, Terrence LeVarr Thornton, better known by his stage name Pusha T tied the knot with his longtime love, Virginia Williams. It was a star-studded ceremony which took place at the Cavalier Hotel in Virginia Beach, Virginia. The Happy hitmaker, Pharrell Williams, served as the groom’s best man. The couple had some very famous friends to help them celebrate including Kim Kardashian and Kanye West. While details are yet to be shared on social media by Virginia and Pusha, Kim was there to document the event. Ahead of the ceremony, Kim posted a video on her Instagram story, showing off her Gold Balmain mini dress. She paired it with a Judith Leiber clutch shaped like a retro cell phone. She turned her camera towards Kanye as well, who was sporting a black tuxedo. According to the website TMZ, the ceremony was officiated by the groom’s brother. The bride was wearing a white sleeveless gown and a white lace veil, while the American rapper wore black trousers and a bow tie with a white tuxedo jacket. Some snaps were shared by another guest, Dj Doug Wilder which revealed that the guests were given white Adidas sliders as a wedding gift. The joyous occasion came after a busy few months for the rapper, who’s the current president for Kanye’s G.O.O.D. Music record label. His new album Daytona caused some controversy as it was revealed that Kanye spent $85000 on a photo of Whitney Houston’s drug-covered bathroom for the album’s cover.